A 20% OFF special to celebrate the fourth of July! Enjoy a week of savings! Don’t miss this chance to stock up on your favorite superfoods. Use coupon code: CELEBRATE2016 in the checkout on http://www.e3live.com to receive your discount. Regular offer details apply*. Valid through July 7th, 2016 midnight PST. 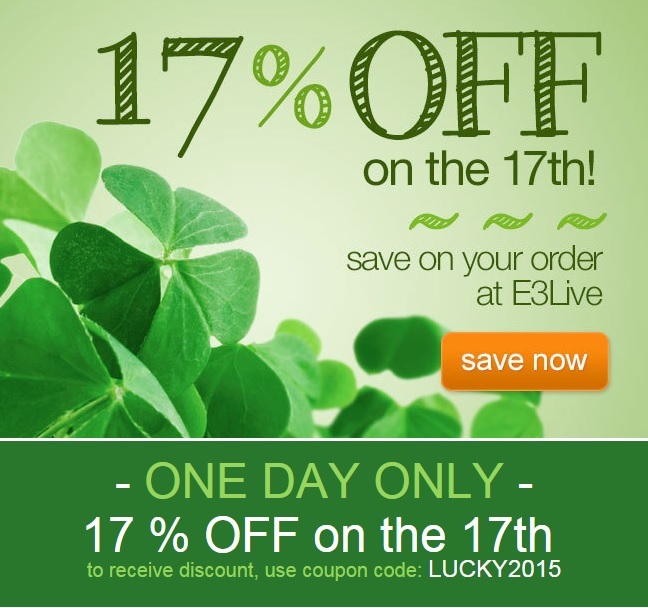 ONE DAY ONLY, E3Live Lucky Special: 17% OFF on the 17th! 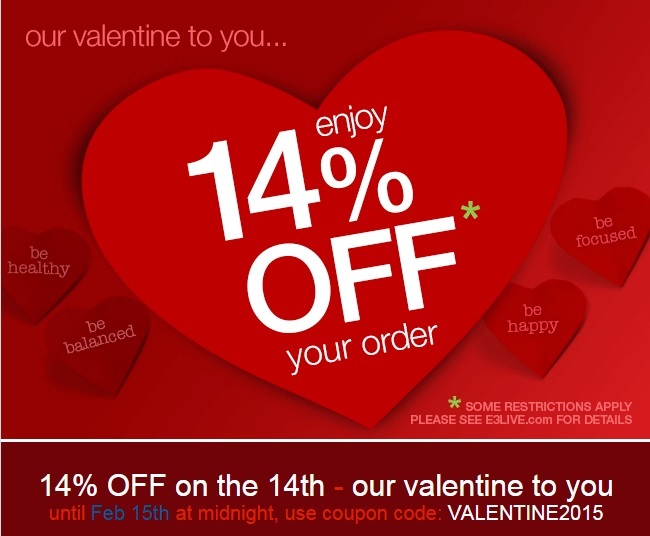 Ends Sunday Feb 15th at Midnight! One of our favorite Holiday Specials! 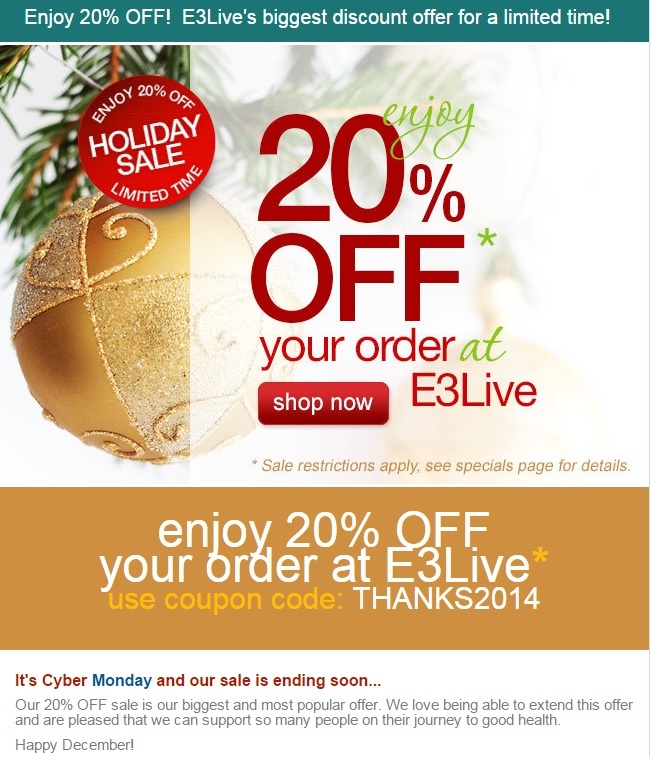 Save 20% on your order with coupon THANKS2014. A great way to stock up on all your favorites, perhaps even a few healthy gifts for those you love. Offer ends December 2nd, 2014. TODAY ONLY – Free Quick Shake Cooler Cup on all orders over $25! Plus our 20% off sale is on (use coupon THANKS2013)! TODAY ONLY – Free Quick Shake Cooler Cup on all orders over $25! 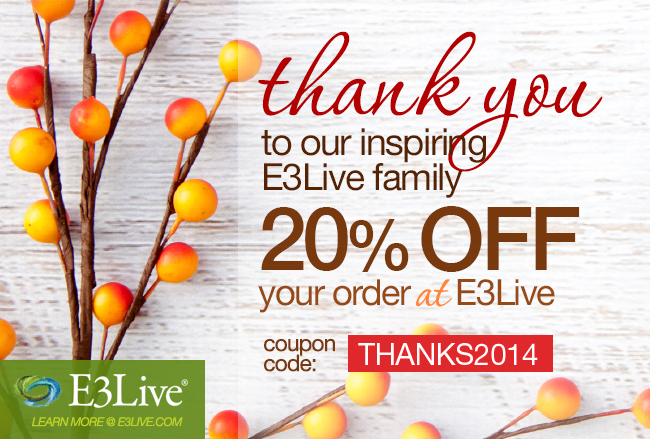 Plus our 20% off sale is on until Dec. 2nd (use coupon THANKS2013) on http://www.e3live.com – shop from the comforts of home! 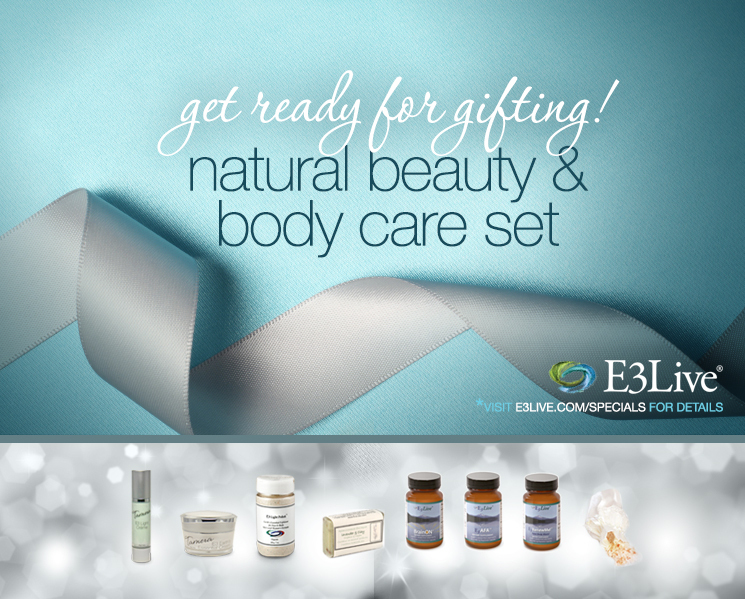 Natural Beauty & Body Care Set – Perfect For Gift-Giving! Nourish your body and skin cells, inside and outside. A great gift idea for those you love. This healthy set has 8 of our most popular products – you can split them up and have gifts for 8 people or use as stocking stuffers and more! Retail Value: $175, Now just $135 – a $40 savings!! No coupon necessary, regular offer details apply. Offer valid until Dec. 15th, 2013 or while supplies last.